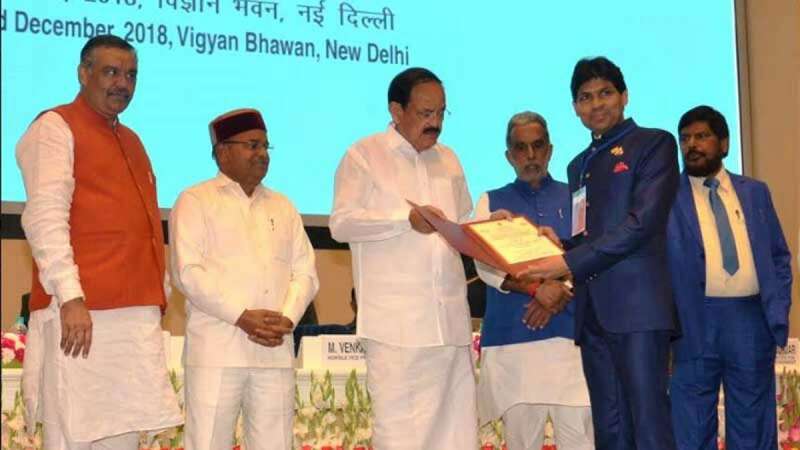 New Delhi : Dr. Yogesh Dube, selected as the Best Individual Working for the causes of Persons with Disabilities, by the Ministry of Social Justice & Empowerment, Government of India, to be conferred the highest National Award for the Empowerment of Persons with Disabilities, 2018. Dr. Dube launched the national burns awareness programme organised by Gujarat Plastic Surgeons Association and AMA to make India burns free by 2025. He is the chief promoter of wheelchair cricket in Maharashtra promoting sportsmanship and conﬁdence among the divyanjans and is an active member of various trusts and organisations working for the cause. Dr. Yogesh Dube is constructing a Divyang Bhavan in Sandila near Lucknow. At this Bhavan he intends empowering the divyangs through vocational training and skill development to be able to ﬁnancially sustain themselves. He has organised numerous campaigns for the welfare and health of the disabled and has brought into focus of the central and state governments that the divyangs are an important part of the country and that the opportunities for gainful employment and decent living have to be made available and catered to.